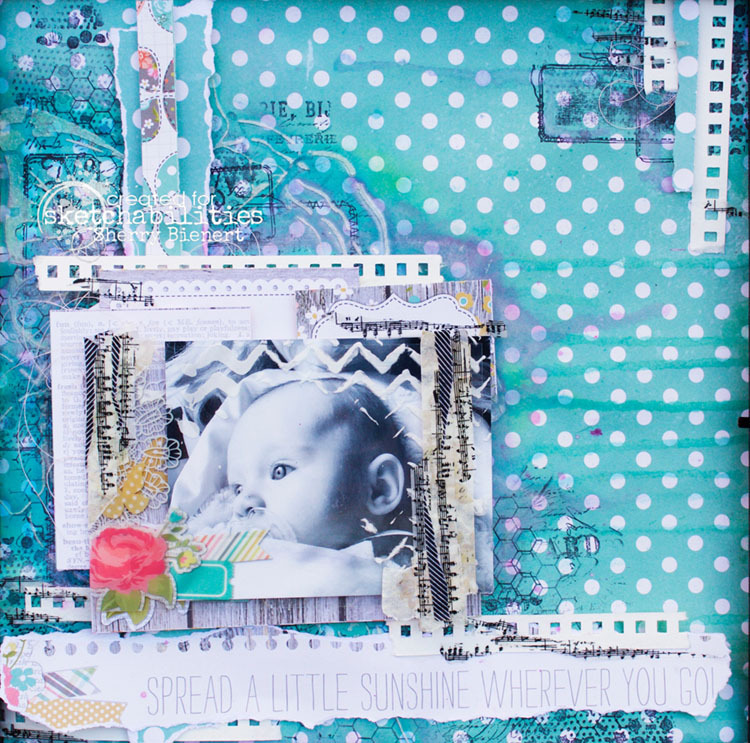 I find it way to easy to create layouts featuring this ridiculously beautiful little girl! My niece is pretty amazing and beautiful and I want to instil in her all the things I wish for her… I wish that she knows everything is possible, no matter what. This is the sketch my layout was inspired by! And a couple close ups! 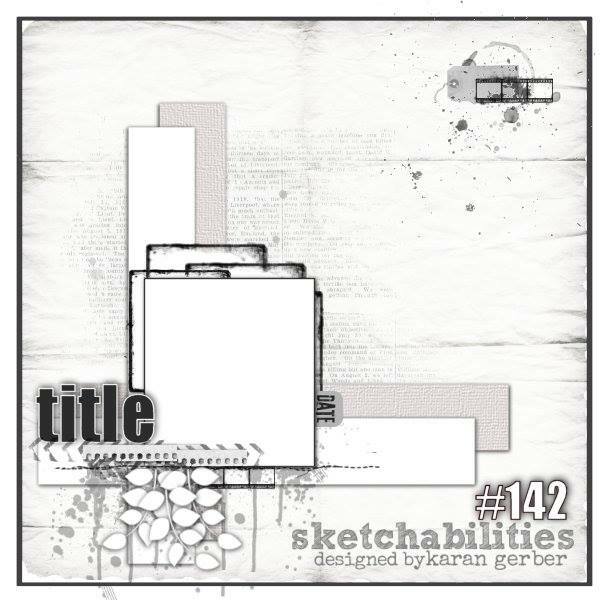 For all of the contest rules, guidelines and DT inspiration check out the Sketchabilities blog. 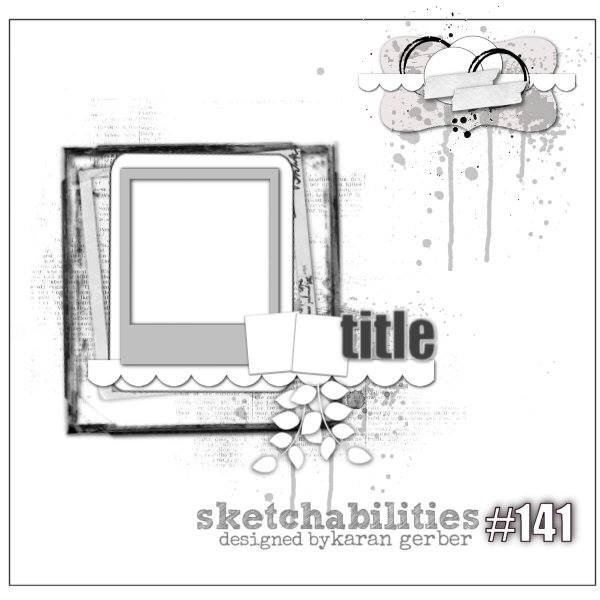 For even more Sketchabilities fun also head over to Facebook, Pinterest for sketches and Pinterest for Designers projects. 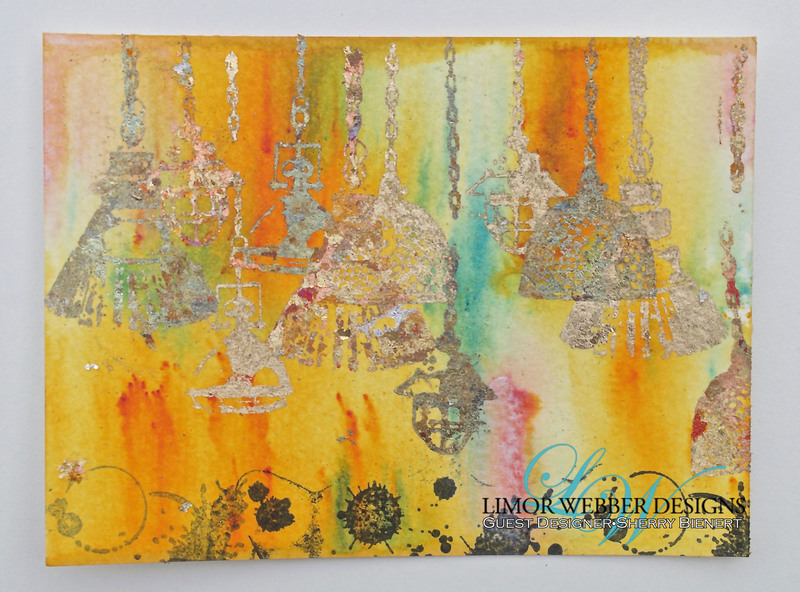 Today i am bringing you a little taste of the tutorial that is up today on the Limor Webber DT blog. 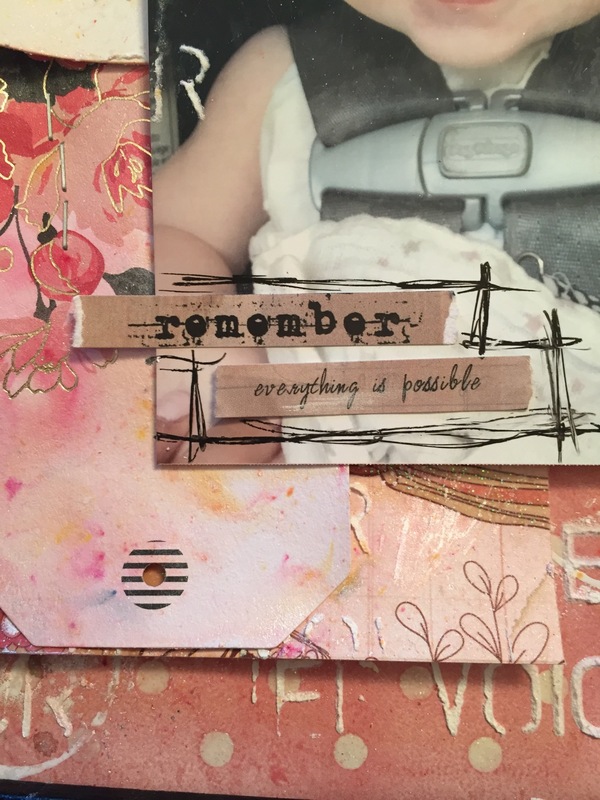 I created this layout with an open mind and open heart. I wanted to create a tone of simple yet effective layers! 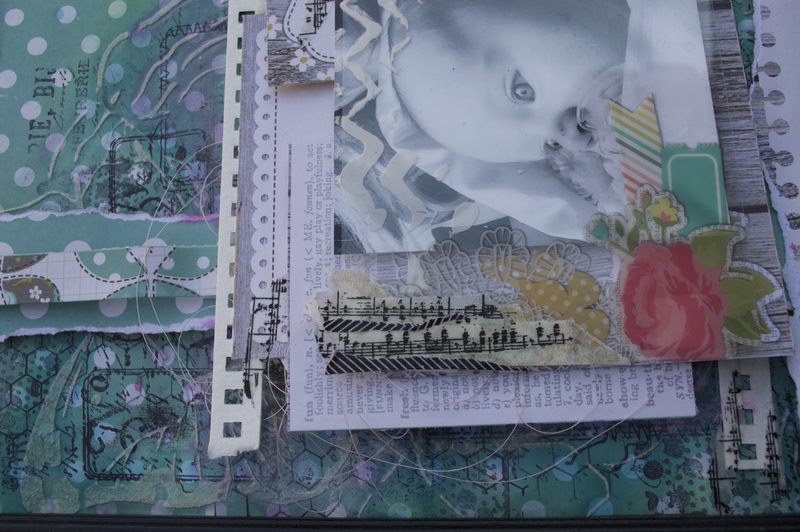 sometimes we add layer and layers and layers but don’t think how effective they will be all together… What happens to be is i dream of layouts… I dream of the layers… i dream of the process. And I’m not always sleeping when it happens! I’m an avid daydreamer! I stare off into space from time to time and what i am doing 99% of the time is dreaming up new ideas and new pretty things! some people keep dream journals and diaries, I keep idea book and an application on my phone to document all the ideas that flow through my head faster then I can write! Anyways, rambling is now over! here is a look at the full layout! And a few close ups. 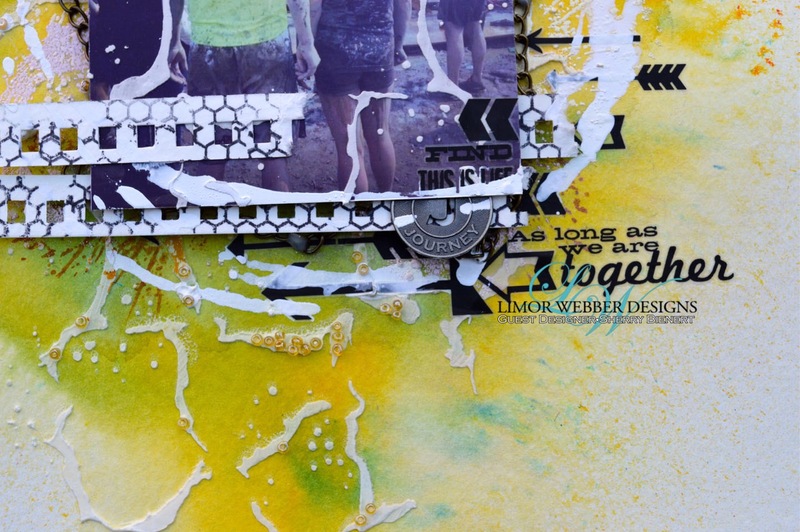 For the full tutorial and supply list head on over the the Limor Webber DT blog (you can also peruse the DT blog for more amazing inspirational tutorials by my DT member friends!! 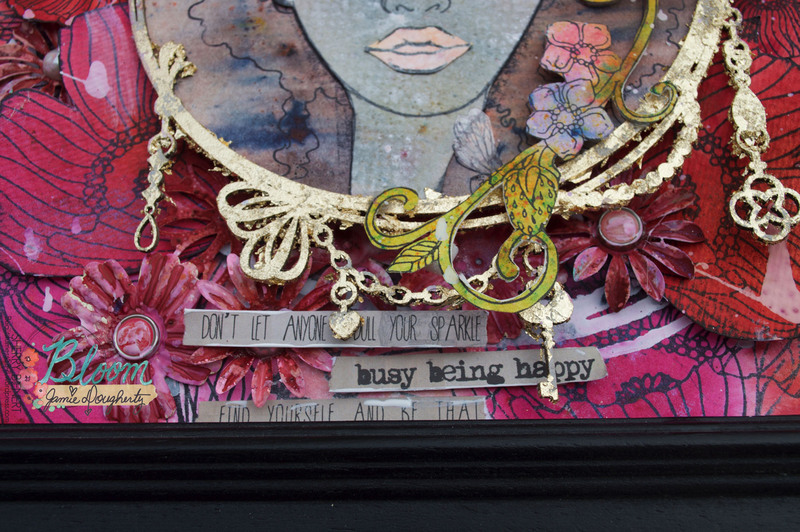 and also pop into the shop and pick up some amazing supplies! For my fellow Canadians she is local!!! For those international she will ship anywhere!! I have recently decided i enjoy color:) LOL!! i used to always veer toward neutrals and soft colors when i was designing projects and embellishments, but lately I have been so into color! 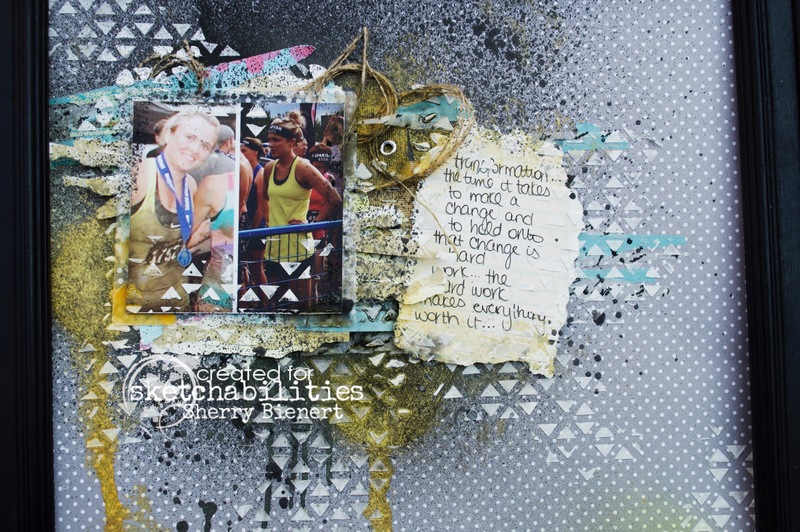 So here is my next layout using fun bold reds! 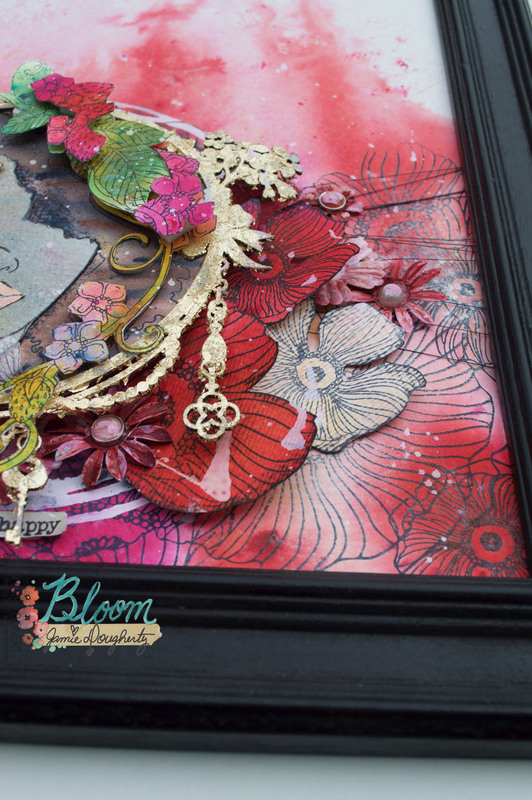 I am featuring a layout on the Bloom Girls blog today, that is where you will find a full tutorial and supply list! also make sure to pop over to my facebook and instagram for more sneak peeks of whats coming up and more tutorials on fun projects and new products! And a few close ups to see the awesome details and dimensions! 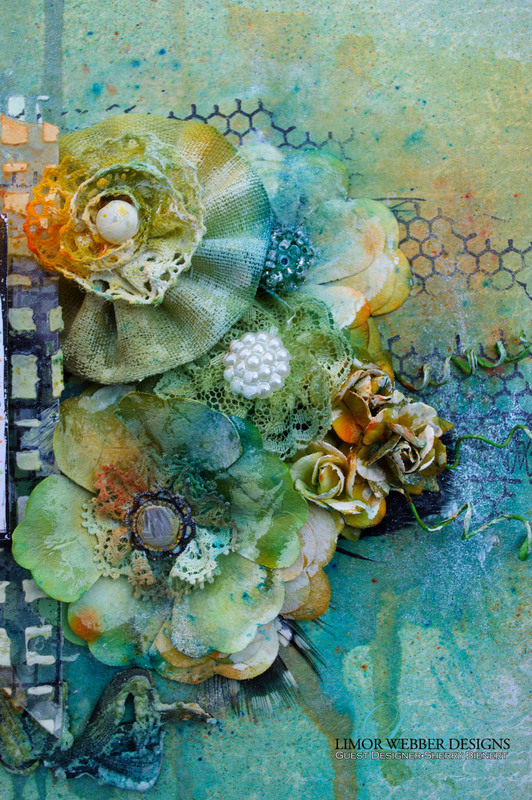 Thank you so much for popping in and checking out my sneak peek into my tutorial! 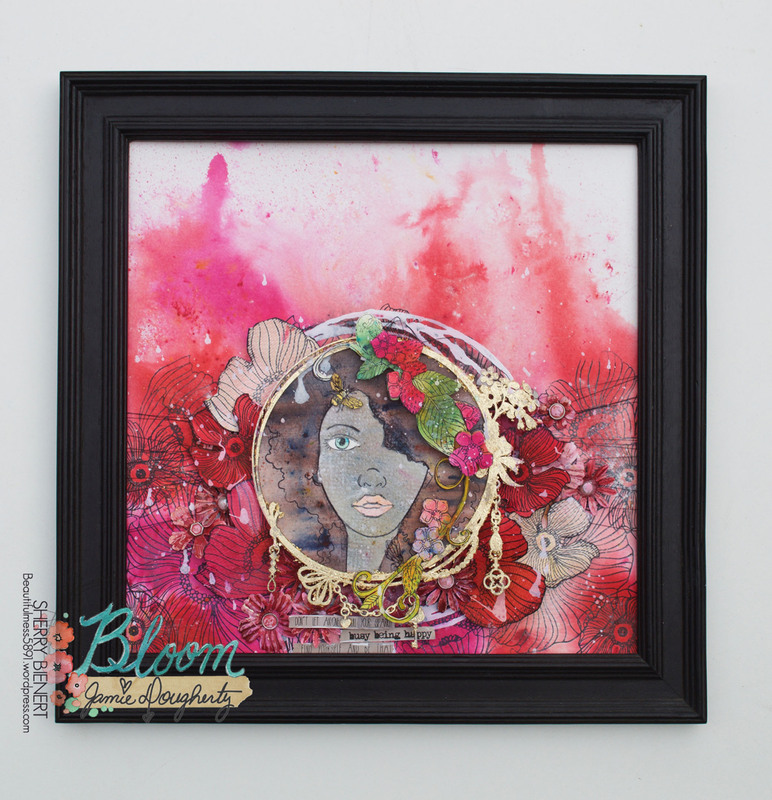 make sure to head over to the Bloom Girls blog for the full tutorial and other inspiring projects by myself and the rest of the talented DT!! So its no secret that I love my fiance…Duh we wouldn’t be getting married otherwise!! lol! 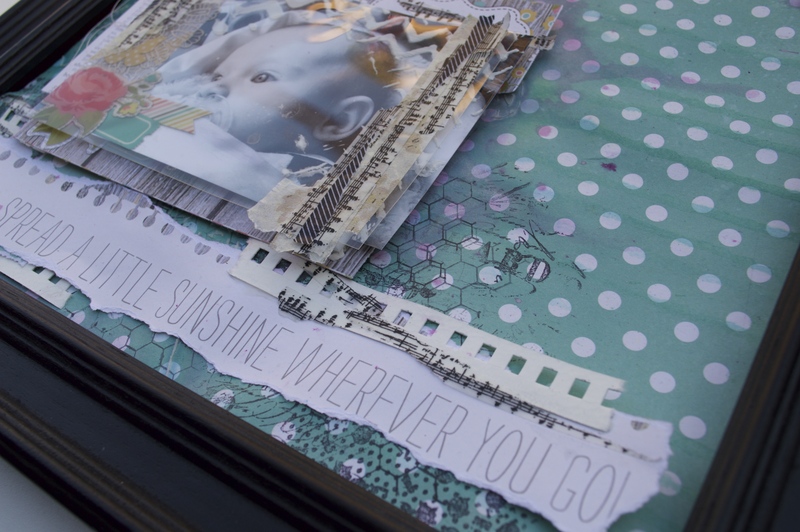 But, we realized after a super sad time, a friend passed away, that we had almost no photos together… we sat there at his funeral and watched the slide show full of love, smiles and happy times. At that time we realized that we had next to no photos of us doing everyday normal things.. we had the ones where we had a photographer take photos but almost none of us just doing everyday things together. So I made it my goal that we would fill our phones with photos of us doing the everyday! Jamie laughs every time I pull out my phone, but he gets it, he wants the same moments documented as I do. Plus he knows he is marrying a woman who likes to put everything onto a layout and show the world, so this will be his forever anyways!! Here is the full layout! 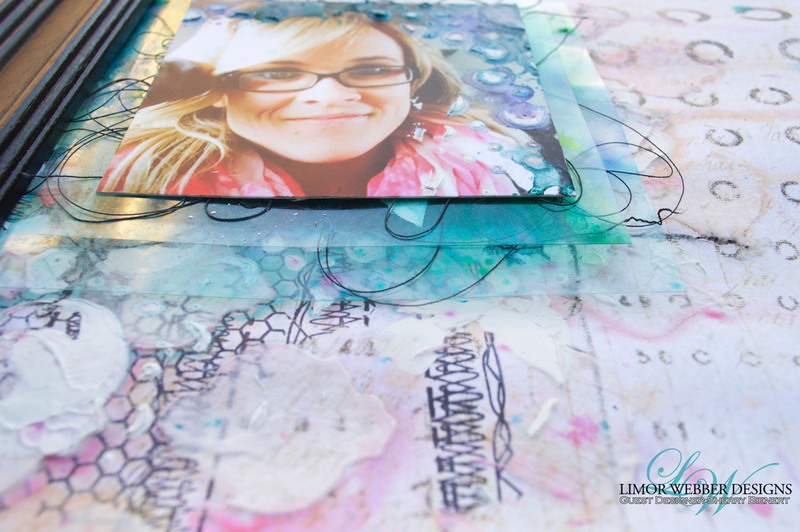 thank you so much for stopping in and checking out a sneak peek of my layout tutorial! 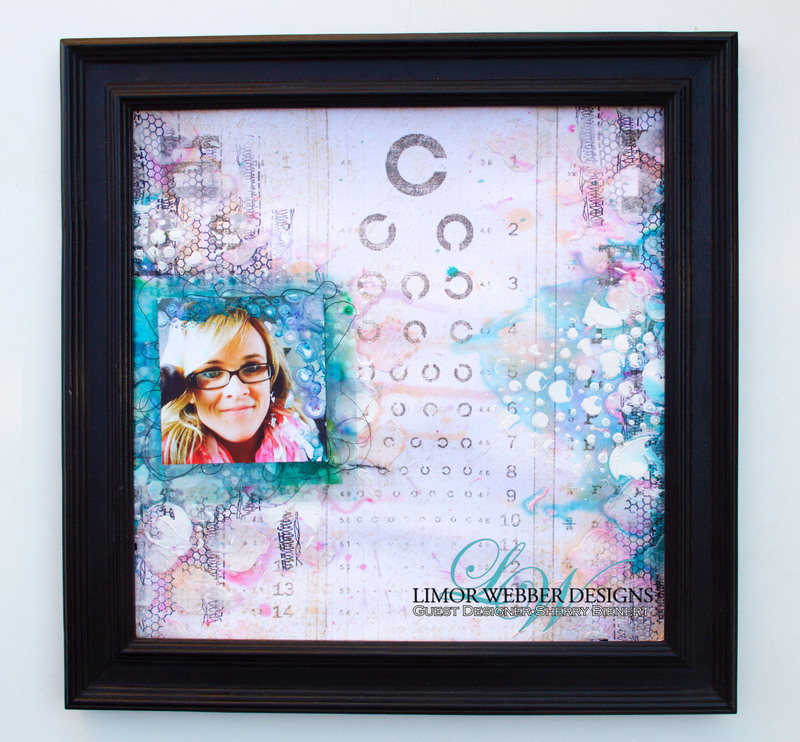 To check out the full tutorial and supply list head over to the Limor Webber Designs DT inspiration blog! Also check out my facebook and instagram for regular sneak peeks and tutorials!! 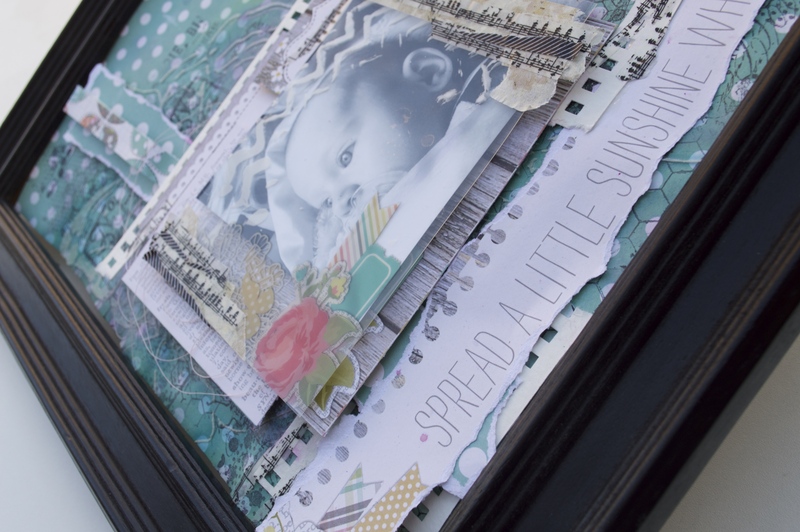 today I got to shower a great friend with love and happiness:) it was her bridal shower and naturally my mind went crafty… What could I make her… So I decided double layouts, and a date memory box were perfect! 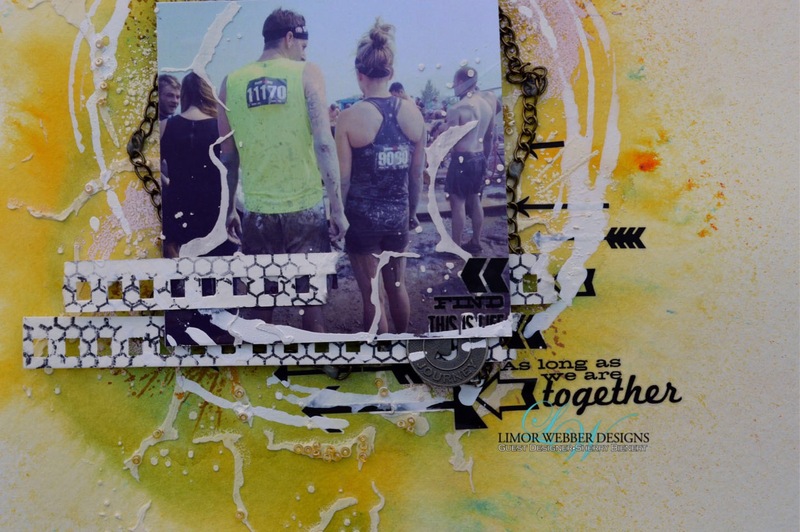 After days of layers, hours of drying and loads of medium I designed two fab layouts featuring two of my fav pics of the beautiful couple!! 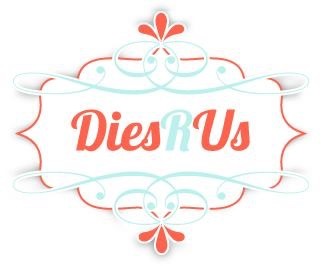 I started by find out the brides fav colors; blue, pink and grey. 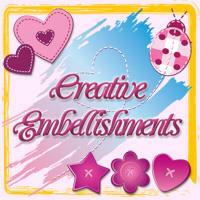 With that said I created two backgrounds, one with blues and one with pinks! Next was a thick layer of stencilled coarse moulding paste. Then I added a touch of grey to them both to enhance the paste. I laid the pic where I wanted to end up being and sketched around it with a stabilo pencil, then sprayed it with water, I love how the color bleeds when wet. 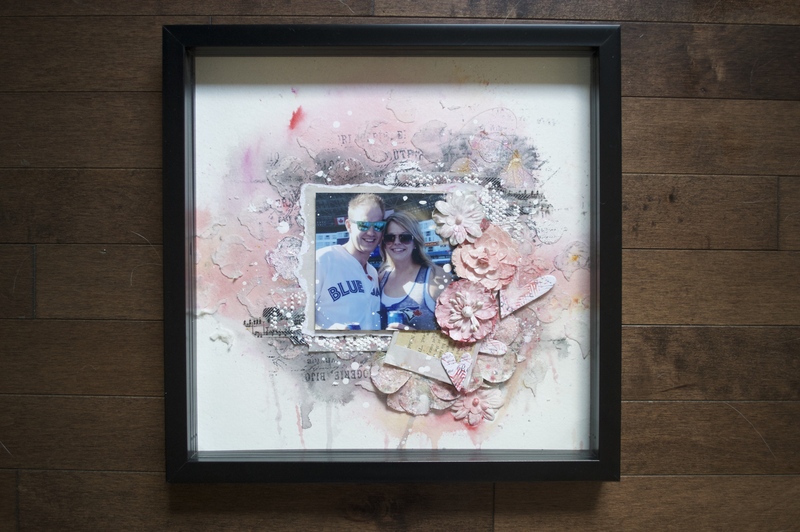 For the blue layout I layered flowers, chipboard pieces and embellishments before adhering the photo. 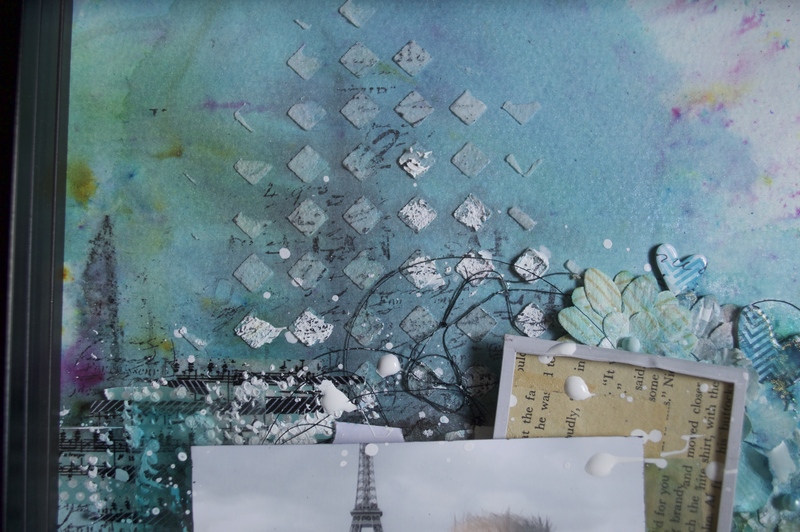 Dry brush white gesso onto the embellishments and apply more blues and greys. 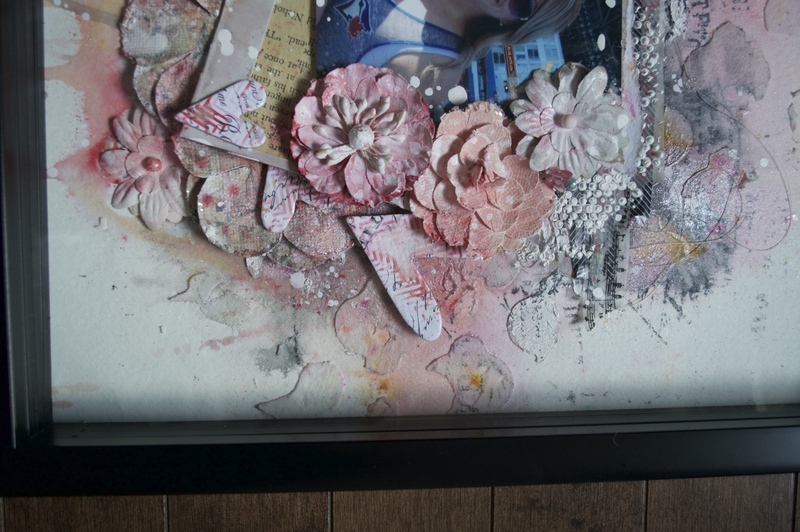 Once dry, use pop dots to adhere to photo onto layout on top of the flowered pieces. 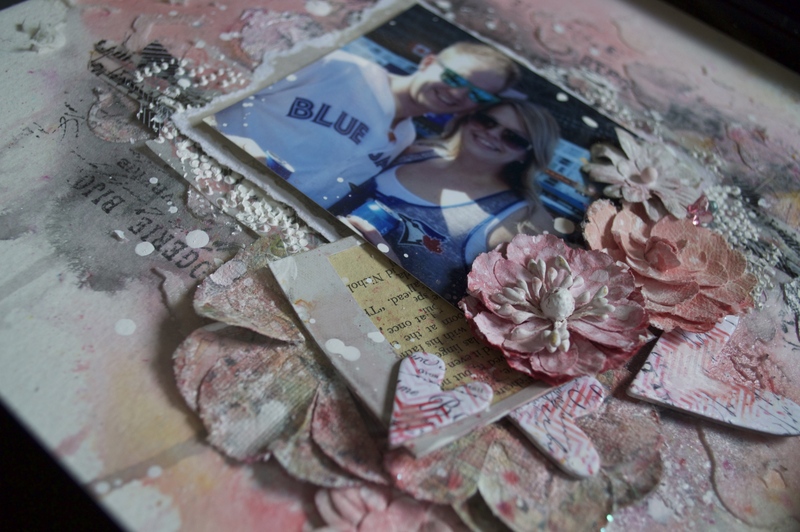 For the pink layout I adhered the photo down then adhered flowers, chipboard and embellishments. 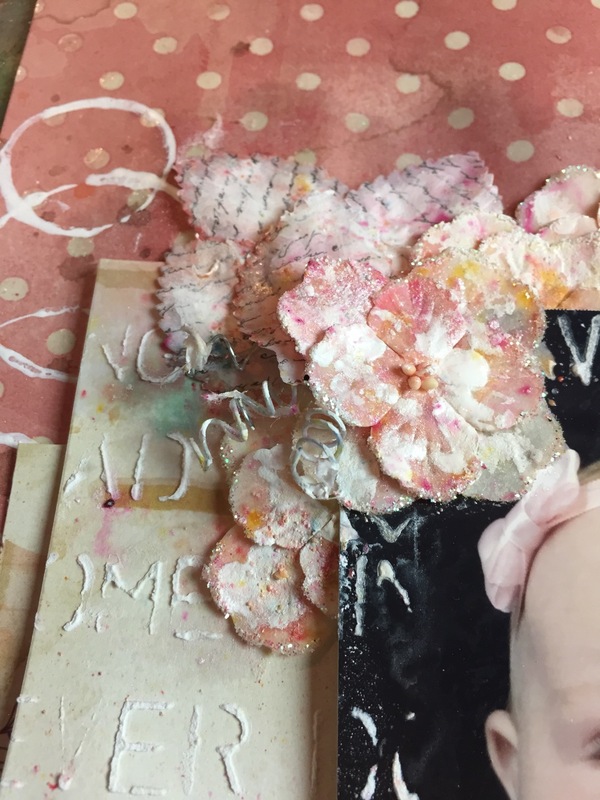 Then I applied white gesso to the embellishments and applied more pink and grey tones to them. 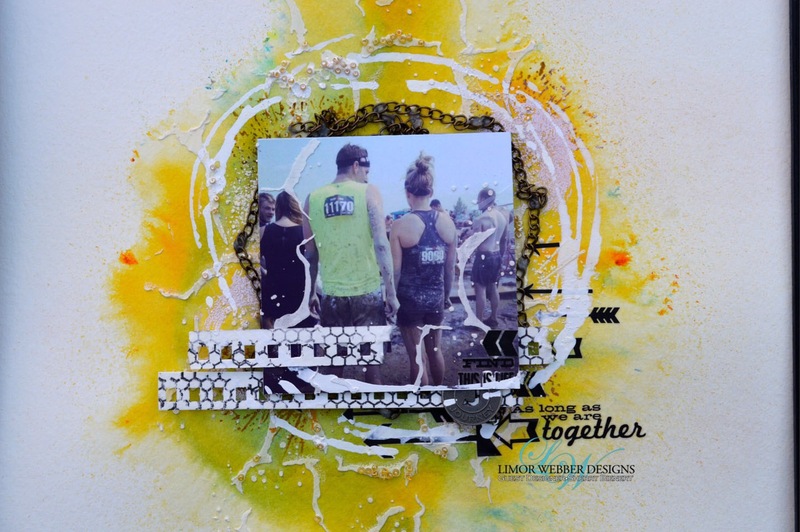 On both layouts I covered the photos and splattered around the photo keeping the splatters tight and not over the entire layout! This helped to tie it all together!! 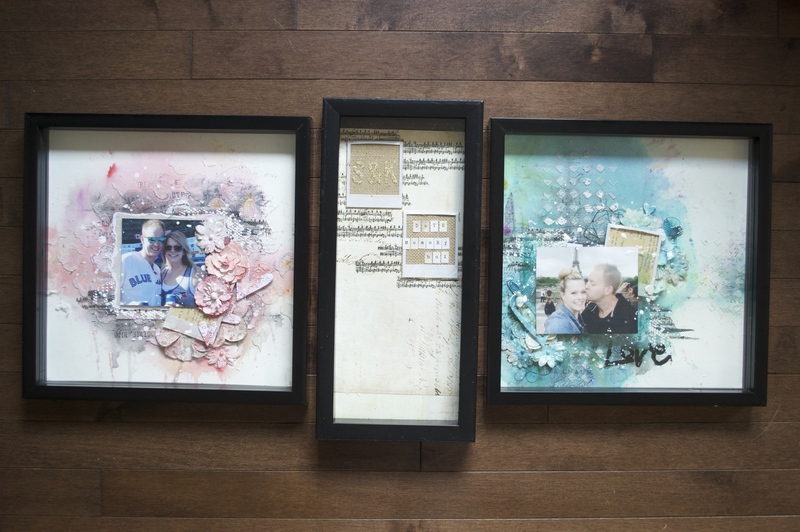 here is a pic of how the full three projects look together!!! Here is a look at the full pink project with a few close ups! 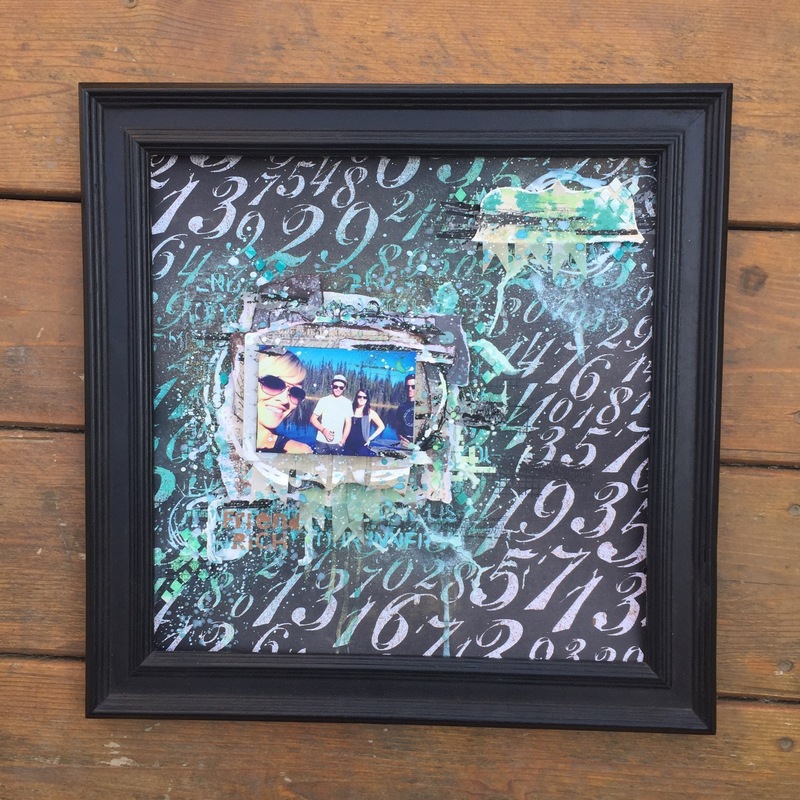 And a pic of the Date Memory box. thank you so much for visiting and i hope you enjoyed! 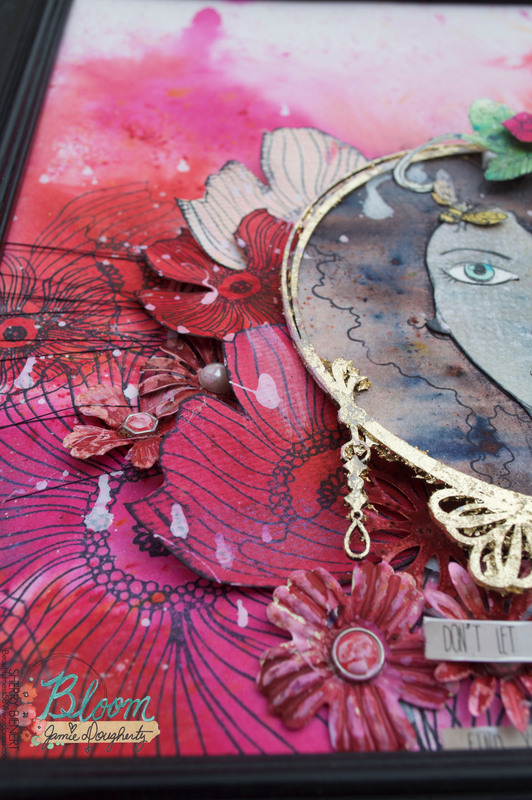 Today I bring you layout using a variety of products and little pieces from my stash! 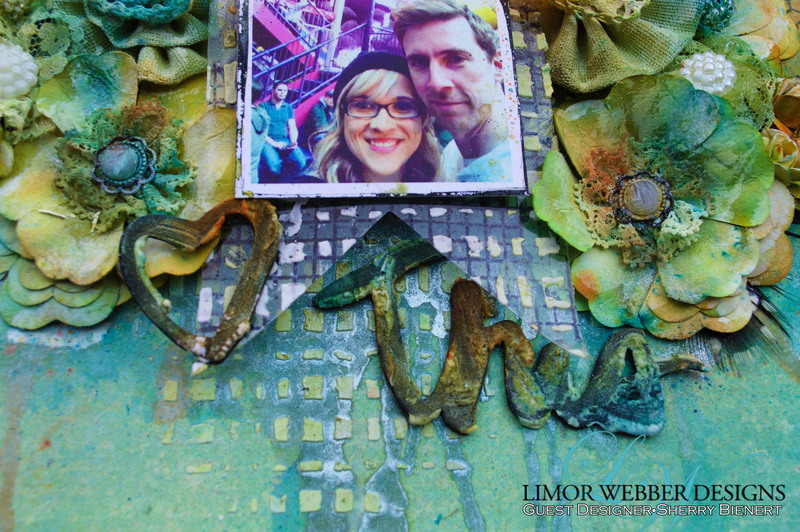 for a full tutorial and supply list head on over to the Limor Webber DT Inspiration blog! Jamie (my fiancé) and I started doing Startan obstacle races a couple years ago. We always start together and meet at the end as we are very different racers! There was one race that he wasn’t able to make so I raced alone and it was the worst feeling knowing I was out there completely alone! I know that we don’t run together but I get an odd sense of support and reassurance knowing he’s out there somewhere to going through what I am. It also an imexplainable feeing knowing he will be at the end to hug me! So ever since that one race I raced alone, we have never without each other again! 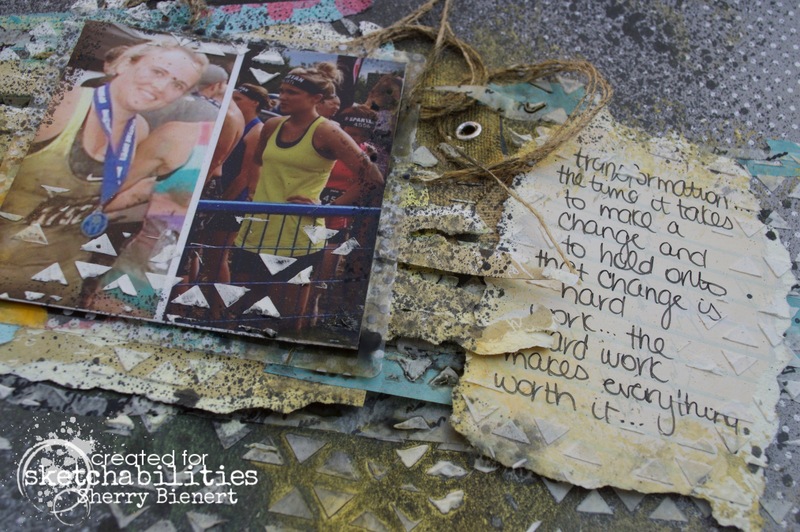 So now that I have babbled on and you have heard the back story here is the project that was inspired by this!! 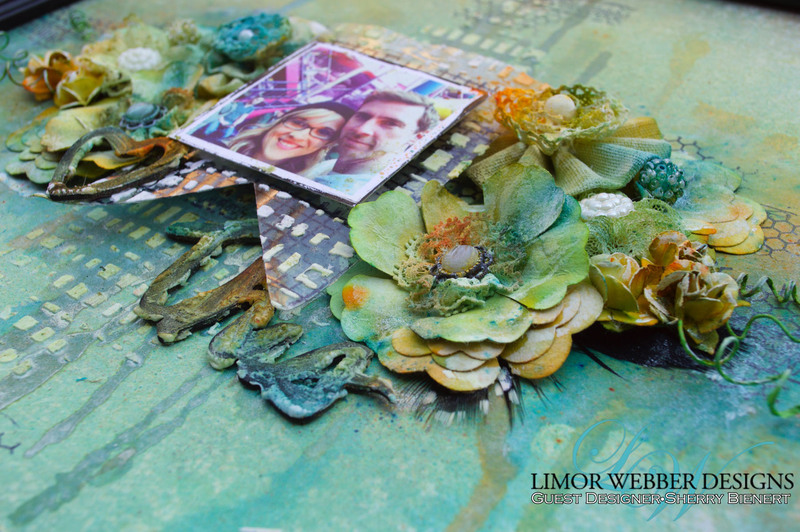 Thank you so much for checking out my layout brought to you using the AMAZING Limor Webber Designs products! 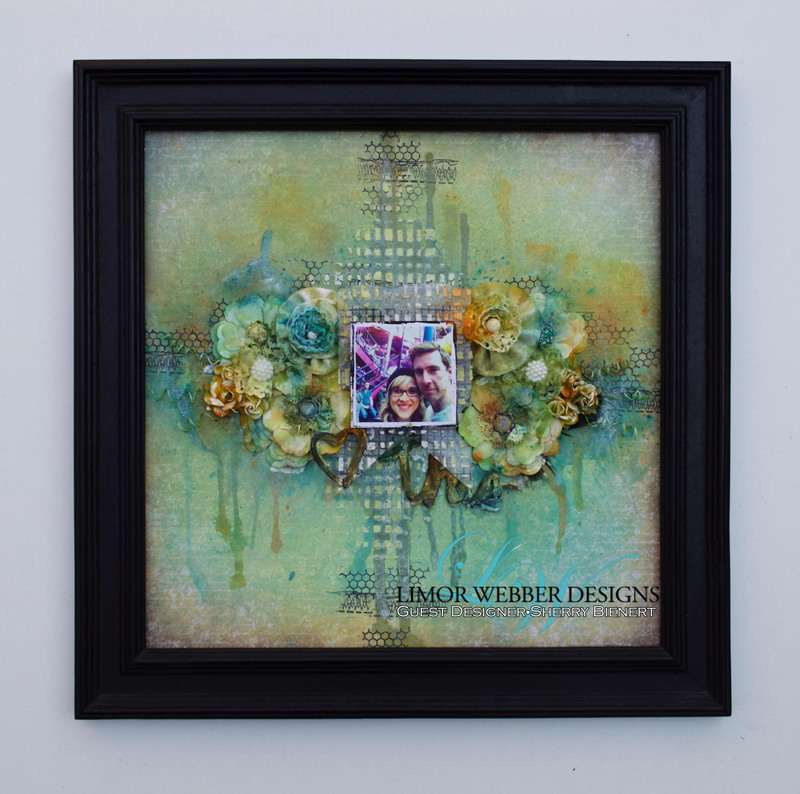 Everything was picked up from Limor Webber Design’s online store. Pop in to check out what goodies are being released everyday!! for more inspiration, projects and product reviews check out my Facebook and Instagram. 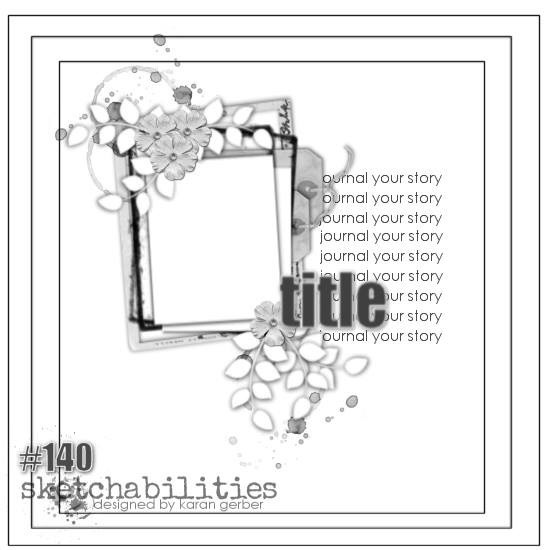 Hey my crafty friends:) I just wanted to share my most recent Sketchabilities DT layout! I ❤ this one! You know when you meet people that it’s so easy. They’re easy to be around, easy to talk to and just easy to be friends with? 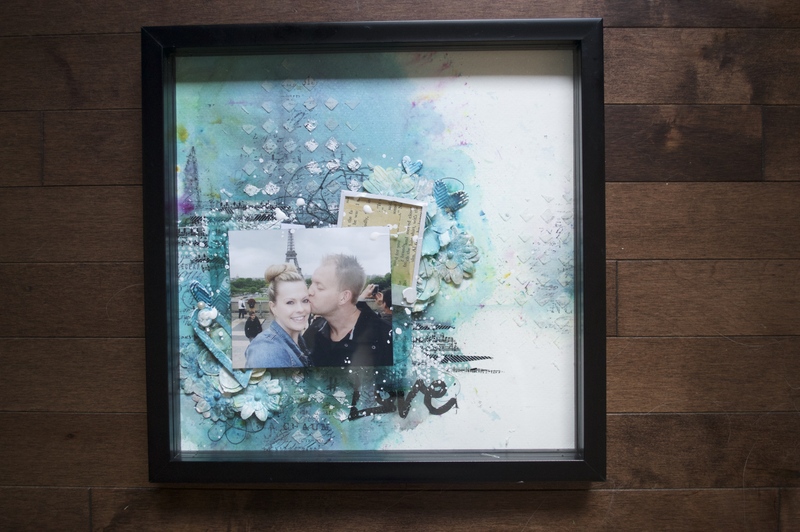 We found that with this fab couple! We went a trip with them last year and it was the most fun trip I have been on in a long time!! Anyways here is the inspiration!! And here is what I did with it!!! And a few close ups of the dish layers!! 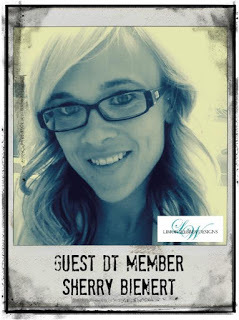 You will also find all the rules and guidelines to enter for a prize pack from a fabulous sponsor!!! 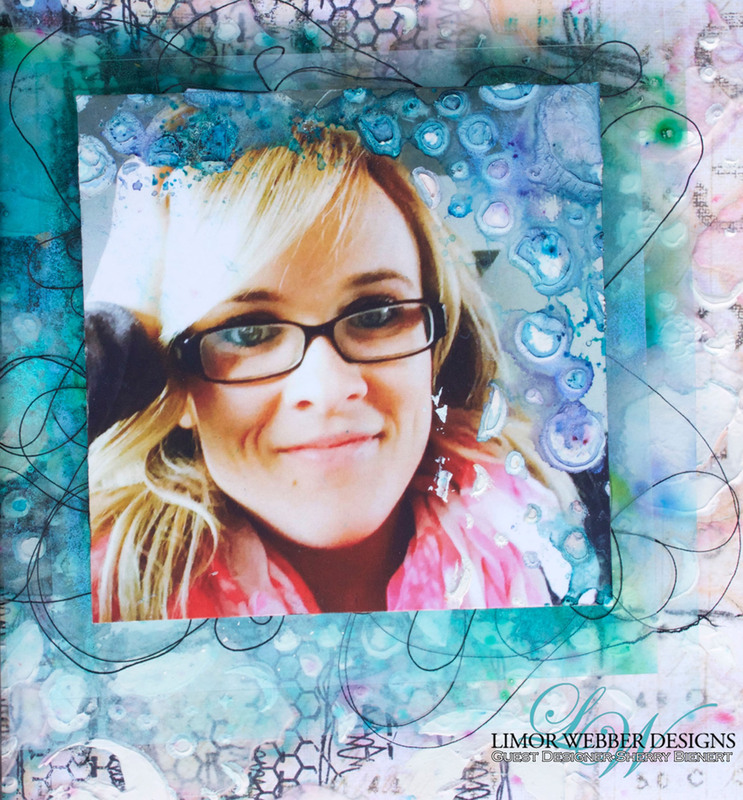 Hey ladies and gents, I am bringing you another fab tutorial using the ever amazing Limor Webber Designs products! Sometimes life gets crazy and events sneak up on us, or does this only happen to me?!?! I love to give handmade cards, for some reason it give me a little bit of pride when they open it and smile! The effort put in is worth that smile but, little do they know that I had to whip it together in 10-15minute before I left, because time got away from me and we had to leave for the party and I still had no card!!! Today I want to show how something simple can be beautiful and stunning! The thing I love about magicals is how diverse they are and how everytime you use them you can achieve different looks and color tones! 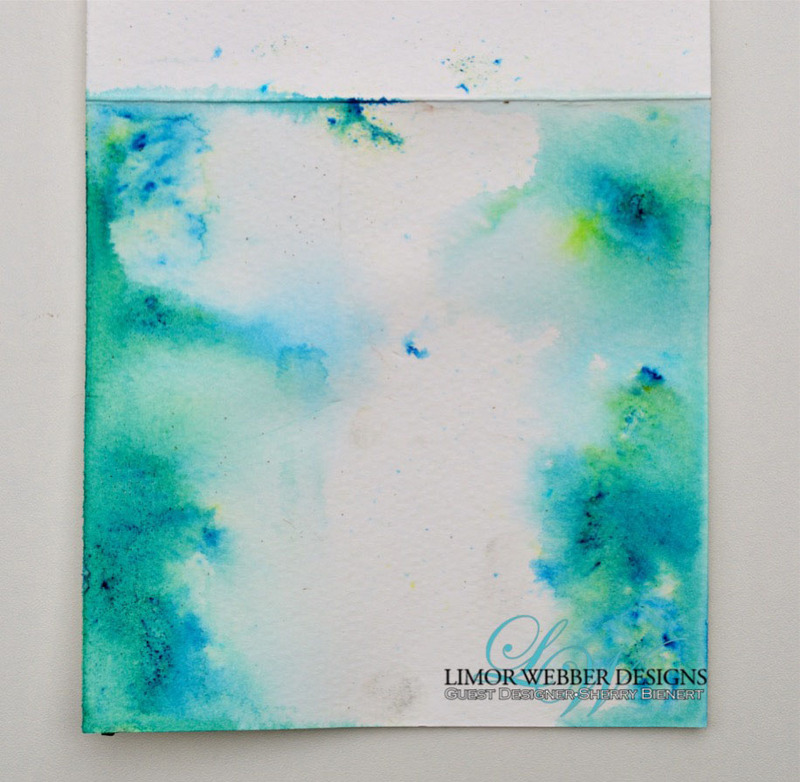 The thing with magicals is that they can be used in many different techniques; today I will my spraying watercolor paper and then tapping them onto the wet paper. What this does is that it makes the colors come out and activate! 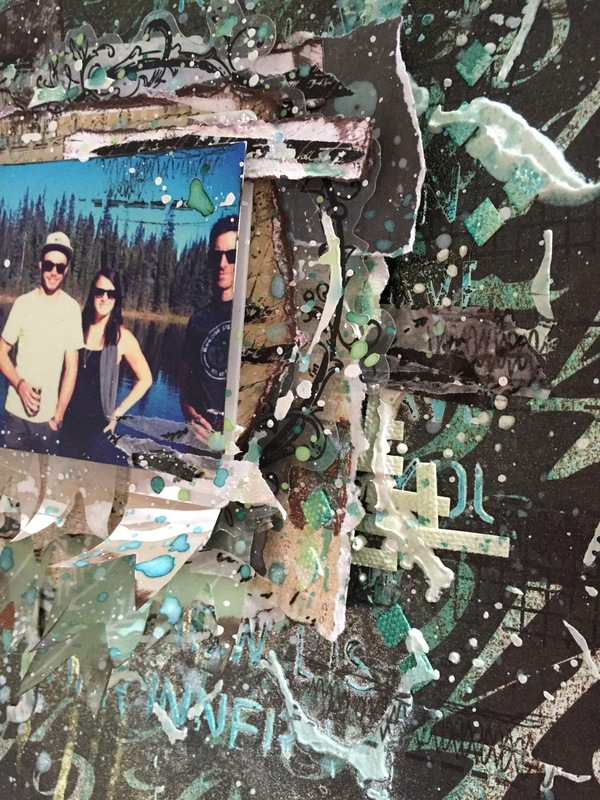 When the magical isn’t completely mixed with water it created a unique multi color effect. The great thing about Lindy’s products is they have many undertones in every color, the reason this is great in the magicals is that when applied to water (but not fully mixed) it creates an amazing ‘tie dye’ type of effect!! STUNNING!!!! 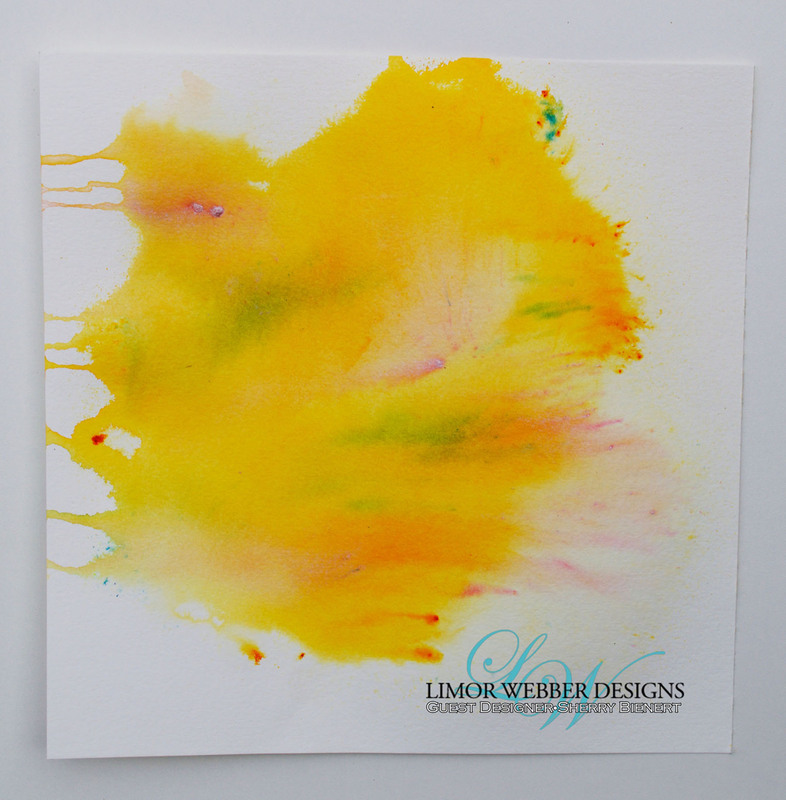 Before we get started I challenge you to pull out you magicals (or go pick some up;)) and play along, this card it completely adaptable and can be done in any color scheme that suits your fancy. I cut a 12”x12” sheet of watercolor paper to 12”x6” and scored along the middle to create a 6”x6” card. 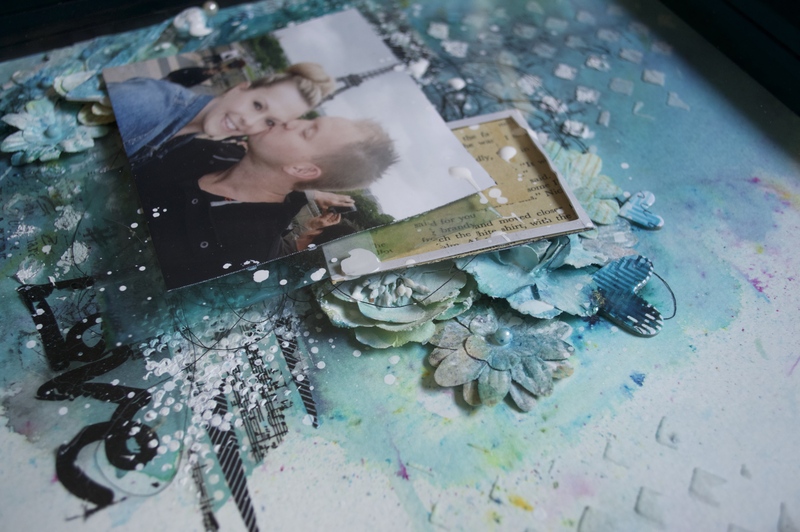 Lay flat and spray the two side edges with water, using my first magical color (T-bird Turquoise) and a small, fluffy brush I sprinkle the powder onto the wet edges. (tip: if some powder sits in a small cluster you can spray on top of it to move it around a but more. 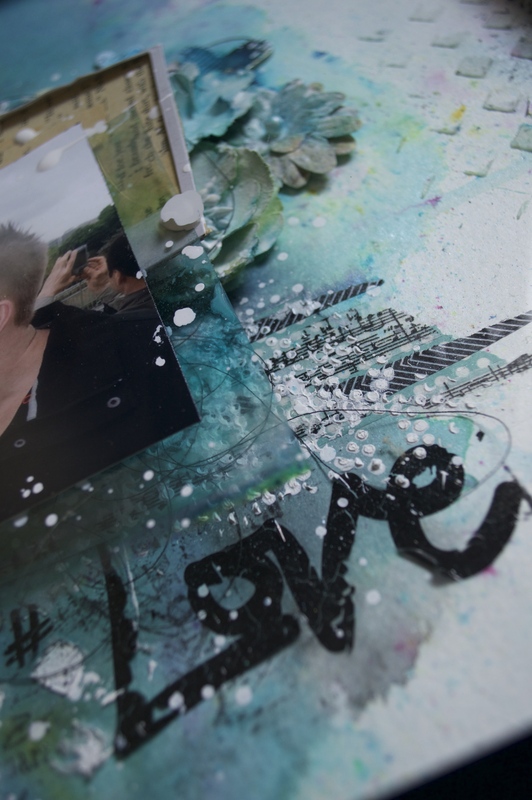 Try to avoid adding to much water to maintain the multi-colored effect.) Allow this to dry completely. (tip: to avoid wasting product, I didn’t do the entire center of the card, asi knew that it would be covered by my next pieces, so there’s no point adding color there for it to be covered!) Set aside as this wont be used now till the very end!! On the piece of watercolor paper that’s left over from step 1 I sprayed a section with water and sprinkle my second color (summer lovin sun) over the entire surface, allow this to dry. I picked an area that I really liked the color tones and cut a 4.5”x6” section. 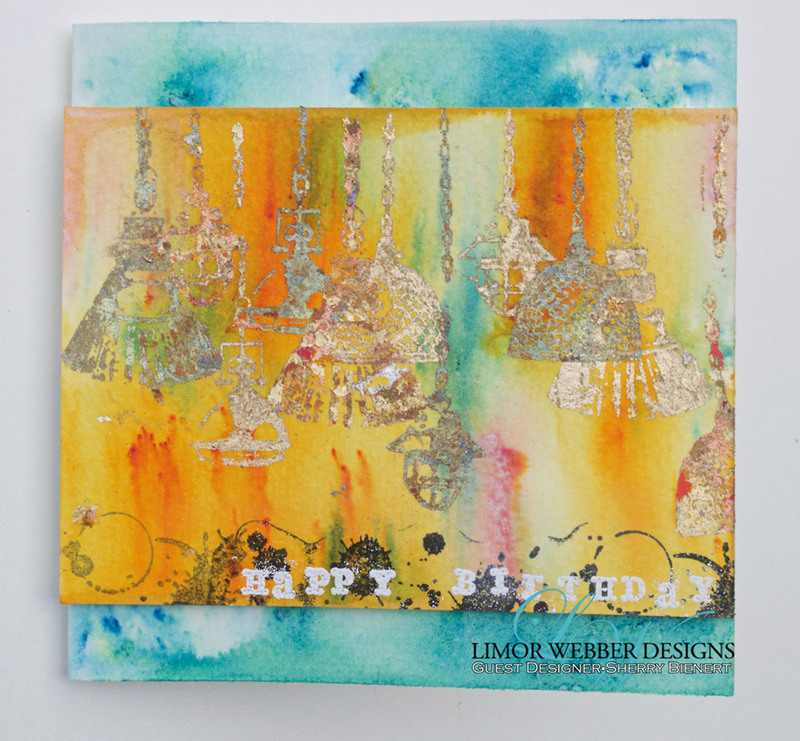 To add a bit of back for my sentiment I used Limor Webber Designs ‘Ink Splatters’ stamp set and a black ink pad. I made these images along the bottom of the card. 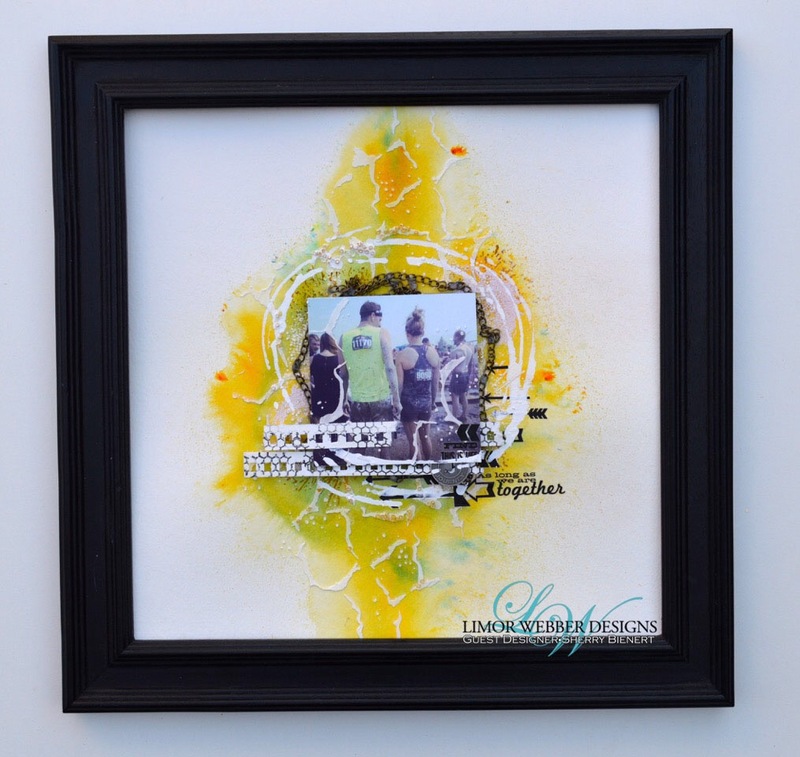 To finish this little gem off I used LW embossing powder (Bonjour Butter from Tres Chic collection) and small letter stamps to create my sentiment in the bottom right corner . Using pop-dots I adhered this to the main base card that you made in the first set. 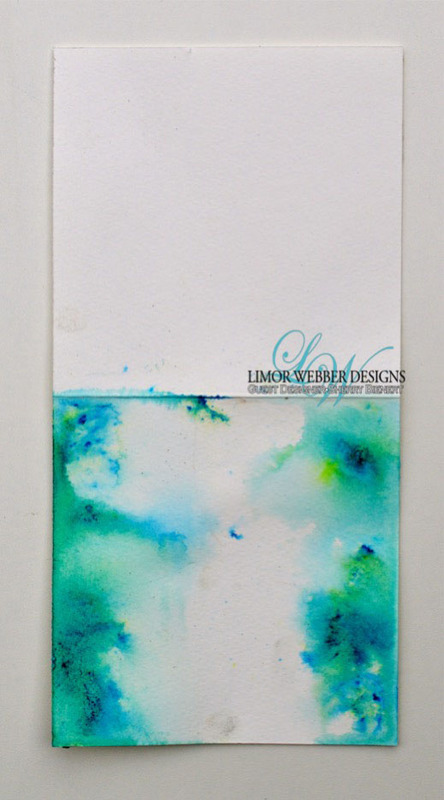 I centered it so that you see the colors on the top and bottom from the background card. Thank you so much for following along today! Hopefully you’re inspired to play and bit with what you currently have or to purchase a few new goodies to try out!! Head over to the Limor Webber shop for some amazing supplies and to Limor Webber Designs blog for more stunning, inspirational projects from the rest of the talented design team. Today I bring you the last Sketch of this term with Sketchabilities!! With that being said i have been asked to sign on again for one more term!!!! WOOHOO!! 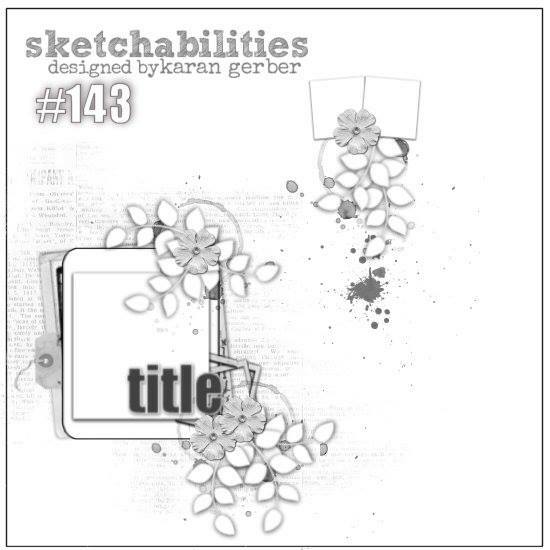 i have grown to adore these sketches and am pretty excited to bring you more beautiful projects inspired by amazing sketches…. so hold on, there are some amazing sketches coming this term!! And here is my take on this little baby!